The program has been set up in conjunction with the Nassau Family Court, the Nassau County Department of Social Services and Adelphi University’s Institute for Parenting. Adelphi’s parenting institute is a private organization that is designed to promote relationships between children and their parents. The program is designed to reduce risk, in cases involving either child abuse or child neglect, that children will be harmed. It tries to establish a secure caregiver for infants. There is a preference in the program for biological parents. The program uses a team approach. The team is comprised of assigned attorneys, family members, an infant mental health specialist from Adelphi, a court facilitator, a deputy County Attorney, and foster care workers who will meet monthly before Judge Dane. Judge Dane has stated he hopes the new program will be successful in reducing terminations of parental rights. The program also seeks to keep children under the age of 5 out of foster care. 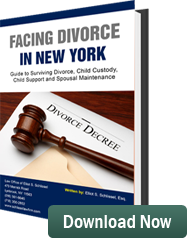 Judge Dane has stated “when a child is taken from a parent, regardless of age, there is trauma.” He further stated “separation affects bonding and attachment especially with babies.” The program is designed to engage parents from the beginning and monitor their progress more often. It is the intent of the program to speed negotiations and result in quicker resolution of infant related cases. Adelphi University is providing joint therapy for parents and children. These therapy sessions focus on interaction and care of the children. The therapy sessions allow for additional visitation between the children and the parent. Without this program, when the Department of Social Services removes a child from a home, the parent or the child’s guardian has to go to the Family Court and file a petition for a hearing. The Judge then makes a determination at the time of the hearing whether the child faces an imminent danger. If the judge determines that the child faces an imminent danger, the child is not allowed to go home. The case is then adjourned and a Fact Finding Hearing is held to determine if the child has been abused or neglected. In the event there is a finding of either child abuse or child neglect by the judge an additional hearing called a Dispositional Hearing is held. A Dispositional Hearing can be equated to a sentencing hearing in a criminal case. As a result of these hearings, an investigation is initiated by the Department of Social Services. This investigation takes a number of months and sometimes as long as a year. After the investigation a Permanency Hearing is held. The purpose of this hearing is to determine long term what shall happen to the child. Should the child be given back to the mother? Should the mother or father’s parental rights be terminated? Should the child be given to a guardian? Judge Dane takes the position if the parents deserve it, he wants to give them an opportunity to improve the situation and get back into a relationship with their children.